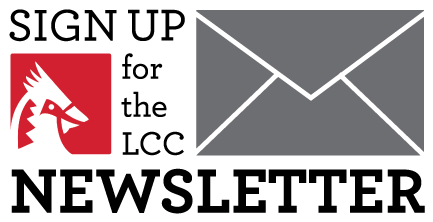 The Labette Community College Foundation is a Kansas nonprofit corporation and an Internal Revenue Service 501(c)(3) organization. The purpose of the Foundation is to raise money from alumni, friends, and businesses in support of College programs. The majority of Foundation support is for scholarships. 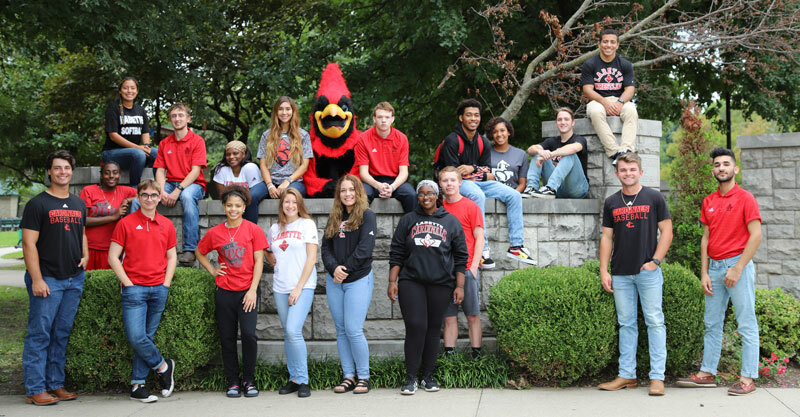 Support is also provided for buildings and grounds, faculty/staff development, student activities, equipment and supplies, and community outreach. The Foundation manages the Jack and Ruth Gribben Endowment Fund that sponsors the annual Gribben English Lecture Series and the biennial Gribben Community Classics Series. The Foundation awards the annual Cardinal Citation for lifetime service, the annual William and Allene Guthrie Van Meter Outstanding Alumni Achievement Award, and annual Distinguished Alumni Awards. 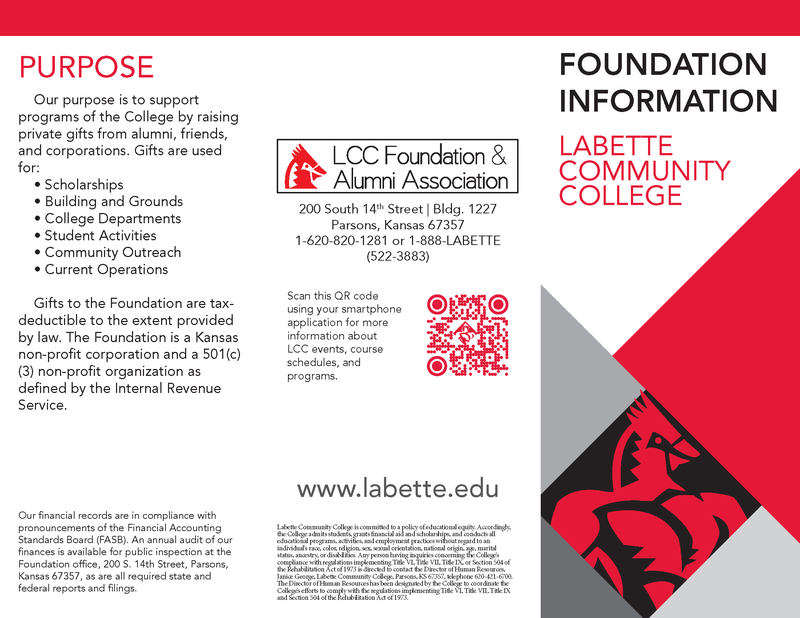 For more information on the Labette Community College Foundation please call (620) 820-1281.